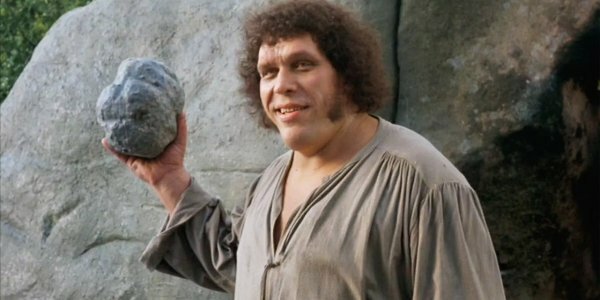 They're Making An Andre The Giant Movie, But Who On Earth Could Play Him? While most biopics try to tell larger than life tales, the story of Andre "The Giant" Roussimoff is one that is hard to beat. His stature was only exceeded by his reputation, as both a wrestling legend in the World Wrestling Federation and an actor in such classics as The Princess Bride. Now his story of extreme fame, and his secret pain, is about to be brought onto the big screen – all thanks to his daughter. Variety broke the news today that Andre's daughter, Robin Christensen-Roussimoff, is helping the biography, Andre the Giant: Closer To Heaven, become a motion picture. Under the guidance of production house Stone Village, which is run by producers Scott Steindorff and Dylan Russell, the 2015 graphic novel detailing the life and times of the man more simply known as "Andre the Giant" is on a bit of a fast track to production. Which leaves a burning question hanging in the air: who's going to play the man, the myth, the legend himself? While there's no official casting mentioned in the item announcing the film's production, one man comes to mind when it comes to playing the role of Andre the Giant. 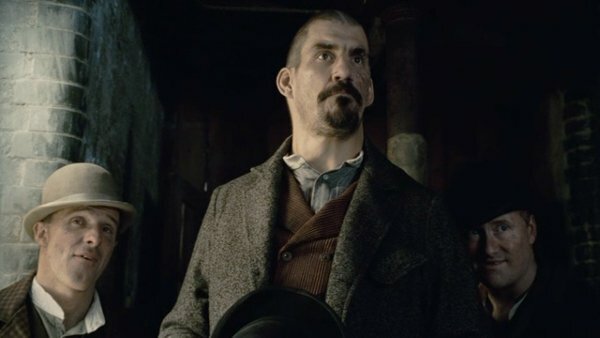 Robert Maillet, the Canadian former professional wrestler who's played the heavy in such projects as Sherlock Holmes and The Strain, seems like the most perfect fit for the role of Andre, and for various reasons. Most importantly, the fact that Maillet stands at a large 6'11", which is only a little off from Andre the Giant's 7'4" stature, is a pretty important factor that puts Maillet head and shoulders above any other candidate. Throw in his French speaking abilities, and his pro-wrestling background, and you could see where we're going here. Of course, the actual physical resemblance gap between Robert Maillet and Andre the Giant is something that needs to be worked through. But considering all of the other factors that Maillet has going for him, we'd be surprised if he wasn't already in the running for the gig, which should be as thrilling as it is sad. Andre "The Giant" Roussimoff had been wrestling ever since he was 17, and had not only engaged in several high profile feuds during his career with the World Wrestling Federation, but eventually found himself dealing with health problems related to his Gigantism. At age 46, Roussimoff passed away due to congestive heart failure, leaving a legacy of entertainment in his wake. No matter who ends up playing Andre the Giant in this new biopic, the resemblance will come in second to the ability to capture the warmth and the spectacle that Andre was able to exude throughout his life. While there's no immediate plans for production, and no release date in sight, there's plenty of time for a proper talent search to be conducted. But if you have someone you think would be perfect for the role of Andre the Giant, feel free to submit your favorites in the Comments below.